Los Angeles, CA (March 26, 2014) – Multi-platinum alt-rock band BUSH are currently in the studio with Grammy winning producer Nick Raskulinecz (Deftones, Foo Fighters, Alice in Chains) recording the much-anticipated follow-up to 2011’s The Sea Of Memories. 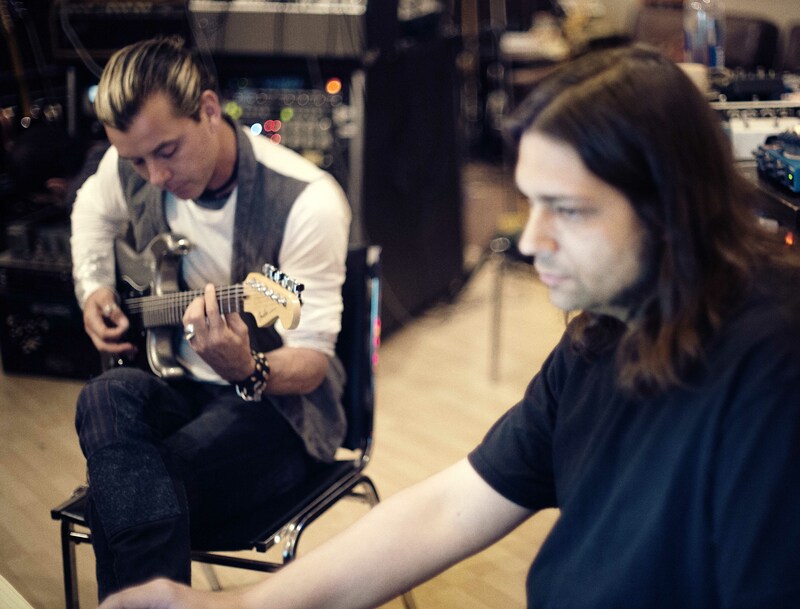 The quartet (vocalist/guitarist Gavin Rossdale, guitarist Chris Traynor, bassist Corey Britz and drummer Robin Goodrige) is recording at Studio 606, the Northridge, CA-based studio owned by Foo Fighters frontman Dave Grohl. Hailed by Rolling Stone as a “vital viva-la-grunge manifesto,” The Sea of Memories was Bush’s first release in 10 years. They returned to the top of the charts in grand style, with lead single “The Sound of Winter” making rock radio history as the first self-released song ever to hit No. 1 at Alternative Rock Radio (where it stayed for six consecutive weeks).